rotary vane vacuum pump in salt industry- Vacuum Pump - EVP Vacuum Solution! In salt industry, there are generally two types of vacuum pumps, one is reciprocating vacuum pump, the other is rotary vane vacuum pump. Today, this paper mainly introduces the application of rotary vane vacuum pump in salt industry. Rotary vane vacuum pump is a two-stage direct connection structure. Its working performance is composed of two parts: high-pressure stage and low-pressure stage. Its suction port is connected with vacuum equipment. When the equipment is vacuum, the high-pressure stage exhaust valve is closed, and the high-pressure stage inhaled gas will be transferred to the second stage, which is sucked and discharged by the second stage. A certain vacuum can be obtained. The technical parameters of the pump are 6 x 10-2. The pump is connected with the motor shaft. It has high speed, small size, compact structure and convenient fluidity. Our company adopts metal scraper, which is suitable for the use of the front pump of diffusion pump, the matching of precision instruments and laboratories, medicine, food packaging, Electronics and other units. In the production of vacuum salt making, the most effective way to increase the output is to increase the temperature difference of heat transfer. There are two ways to increase the temperature of heat transfer: increasing the first-effect steam pressure and reducing the final-effect vacuum. It is difficult to increase the first-effect steam pressure because of the influence of boiler, power generation and other factors. 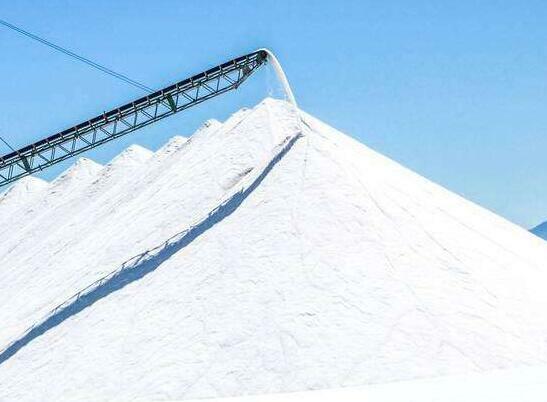 The relatively independent vacuum system has great potential to be tapped, and its cost is also to reduce the whole cost of vacuum salt making. The key. Successful application of rotary vane vacuum pump in vacuum salt making equipment proves that the vacuum degree meets the requirements of evaporation system, the operation is stable and the energy saving effect is obvious. The eccentrically mounted rotor in the rotary vane vacuum pump is tangent to the stator fixed surface. Two (or more) rotating vanes slide in the rotor groove (usually radial) and contact with the stator inner wall. The pump chamber is divided into several variable volume rotary variable volume vacuum pumps. Usually, the clearance between the rotary vane and the pump chamber is sealed by oil, so the rotary vane vacuum pump is generally an oil-sealed mechanical vacuum pump. Rotary vane vacuum pump can extract the dry gas from the sealed container, and a certain amount of condensable gas can also be extracted if a gas ballast device is attached. But it is not suitable for extracting gases with excessive oxygen, corrosive to metals, chemical reaction to pump oil and particulate dust. 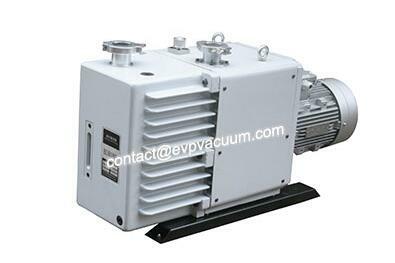 Rotary vane vacuum pump is one of the most basic vacuum acquisition equipment in vacuum technology. Rotary vane vacuum pumps are mostly small and medium-sized vacuum pumps. There are two kinds of rotary vane vacuum pumps: single-stage rotary vane vacuum pump and double-stage rotary vane vacuum pump. The so-called two-stage rotary vane vacuum pump is to connect two single-stage pumps in series. Generally, it is made into two stages to obtain higher vacuum.